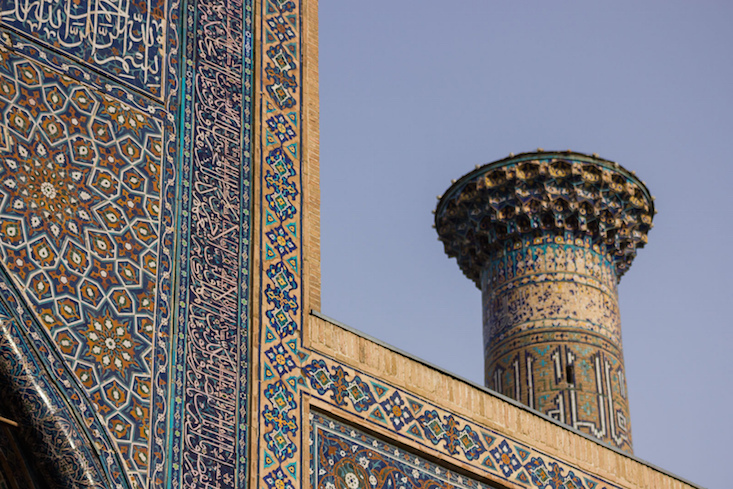 A project has been launched to document, digitise and preserve the Islamic geometric patterns found in Central Asia. The project, titled Agama, takes in Turkey, Russia, Uzbekistan, Kazakhstan, and Azerbaijan. Funded through the LeBrun travel grant from New York’s Center for Architecture, Agama is the brainchild of architect Lauren Connell, engineer Baris Yuksel, and architect Alexis Burson. The trio have embarked upon a six-week trip across the region, documenting the various tile patterns present in the local historical architectures. In particular, Mr Yuksel has worked to convert the tile patterns into code, in order that the datasets of patterns might be accessible to present-day architects and, in turn, adapted for modern purposes. “Tessellations exist in many forms all over the world [...]. It is not enough to just catalogue these in photos and videos, it is our aim to break down the logic of these patterns, and recreate them in code in order to make them more accessible and possibly allowing them to find new life in contemporary applications,” said the group in a statement. Agama is set to result in an open-source library, open to be used by architects, artists, mathematicians and software engineers.